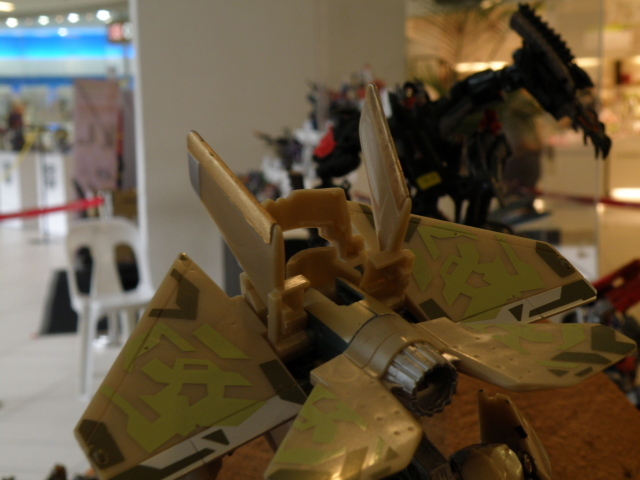 Transformers Convention Day 3 wrap up | Out of the box. 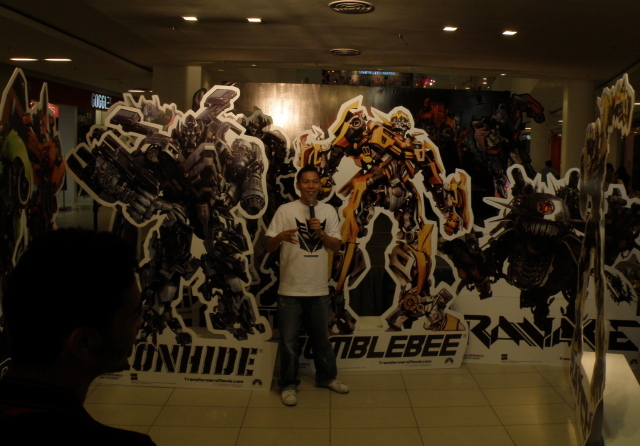 The final day of the Transformers Convention 2009 at Queensbay Mall Penang, Malaysia. There is still alot of activities and yes the Mikeala Banes look alike winner will be determined. Most importantly to capture a slice of the event on the people that has made this Transformers Convention a meaningful one. 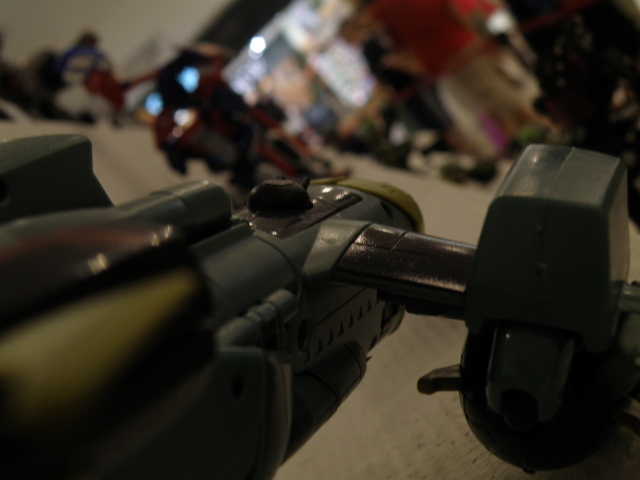 A Transformers convention is never complete without the visitors. 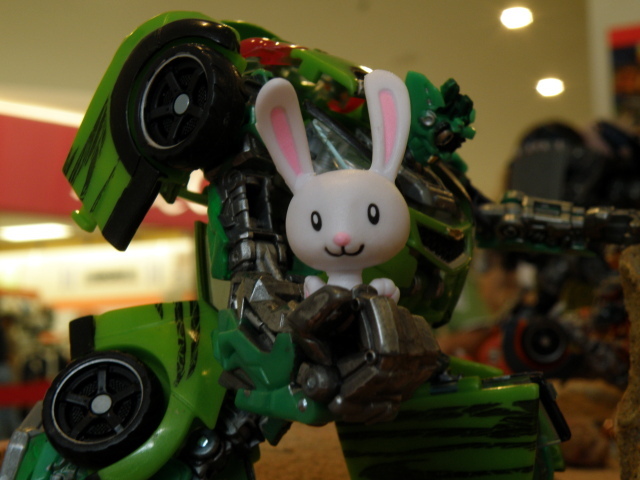 Toys will be just a piece of expensive plastics if there is no one to adore its scuplt and details. 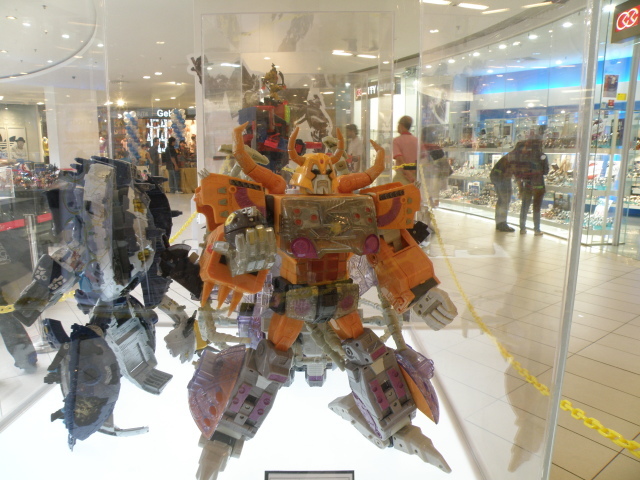 In the Galaxy Force series of Transformers, Unicron were given an arch rival in a form of Primus which is an oversize robot, indeed size does really matter.There is some improvement made to the diorama of the pyramid battle scene to reflect free for all royal rumble. Royal Rumble at the pyramid. 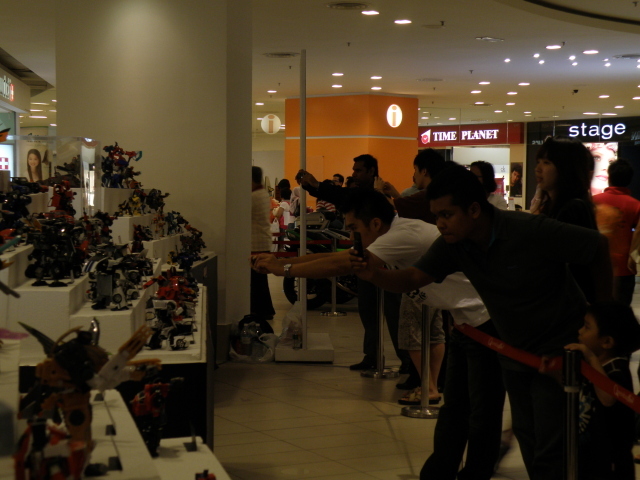 An Autobot spotted trying to bring down The Fallen desperately. 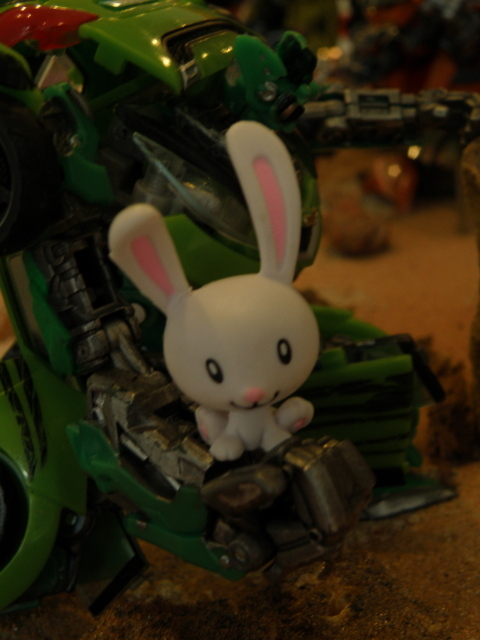 Of course there is also a moment of some Autobot slacking off take the battle at a lighter side. Not to forget tried a few shots of photos from the perspective of transformers. 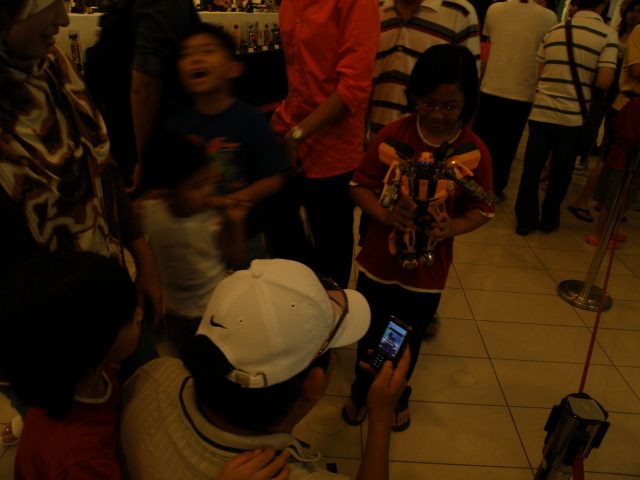 It is fun to try capturing Transformers with a blur background bustling with people. Without further delay, the Mikeala Banes look alike competition contestants. Please bear in mind that do not proceed scrolling down if your company or organization is strict on models with provoking poses. You been warned. Also if there are kids in close proximity do not scroll down. Mikeala look alike photoshot 1. Mikeala look alike photoshot 2. Mikeala look alike photoshot 3. Mikeala look alike photoshot 4. Mikeala look alike photoshot 5. This post must be the blog post with the most photo shot so far. Mikeala look alike photoshot 6. Mikeala look alike photoshot 7. Mikeala look alike photoshot 8. Mikeala look alike photoshot 9. Mikeala look alike photoshot 10. Mikeala look alike photoshot 11. About 50% completing the photos for the Mikeala look alike contest. Mikeala look alike photoshot 12. Mikeala look alike photoshot 13. Mikeala look alike photoshot 14. Mikeala look alike photoshot 15. Mikeala look alike photoshot 16. Mikeala look alike photoshot 17. Mikeala look alike photoshot 18. Mikeala look alike photoshot 19. Mikeala look alike photoshot 20. Mikeala look alike photoshot 21. Mikeala look alike photoshot 22. Mikeala look alike photoshot 23. Mikeala look alike photoshot 24. Mikeala look alike photoshot 25. The close shots of all contestants, if you notice, there is not all close up shot I took. Some contestant either I have left them out or I have missed them out. Mikeala look alike contestants another shot. Not forgetting the winner of the contest is this Hot babe. So hot that it will blow your mind away. 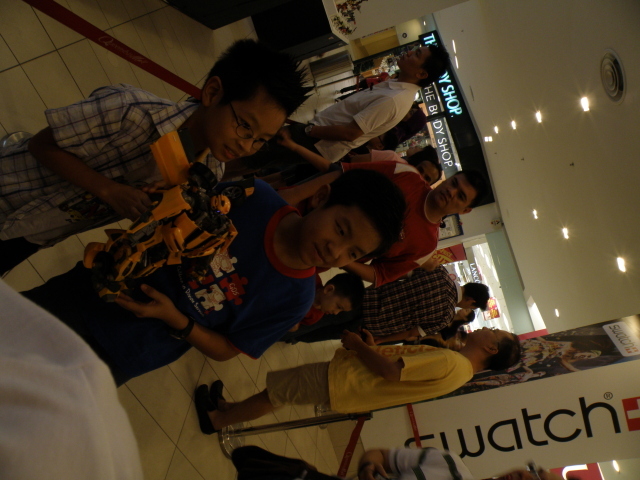 Bumblebee pimping day 3 with Venoth. From the observation of the BumbleBee pimping visitors are really showing patience and orderly. Something which is rare these days in Penang, Malaysia. 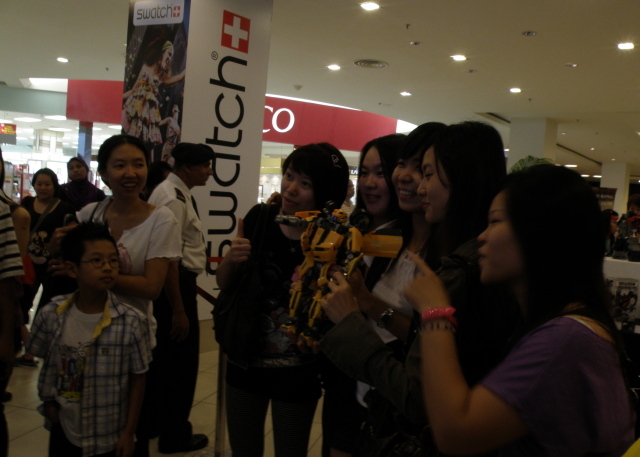 This is a testimony and proof to support in my previous post that single guys who is a Transformers fan can pimp BumbleBee to attract girls. 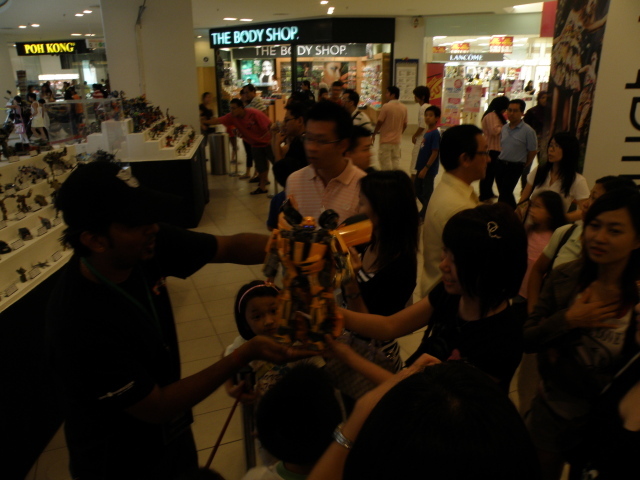 Just make sure that you have RM450++ to invest on the Ultimate BumbleBee, the result would be priceless. At least at the current trend of the time in this post. BumbleBee involved in brothers bonding photo session. 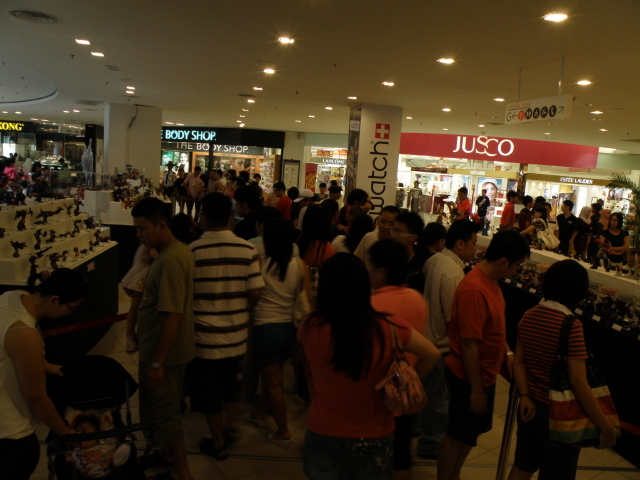 The number of person attending is encouraging. Let the pictures speak for themself. Anxious GF look on as BF being indoctrinated. There is of course some tense moment, as uninterested patron were dragged by their partners to listen to the gospel of Transformers. 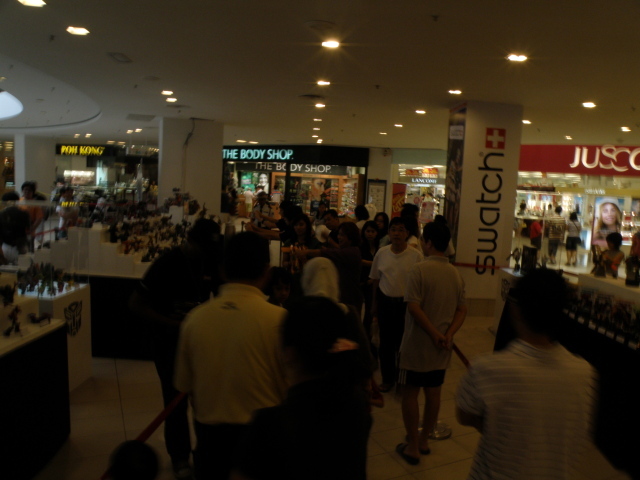 There are some crowd would ask if the item on display is on sales. 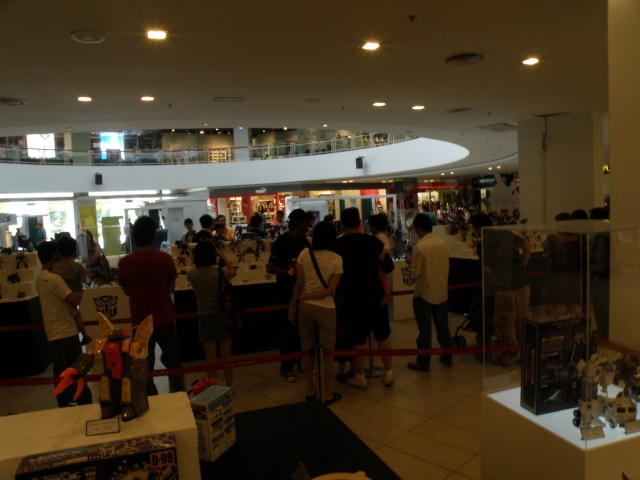 In which we responded by ¨NO, it is just on display and not for sell…¨. 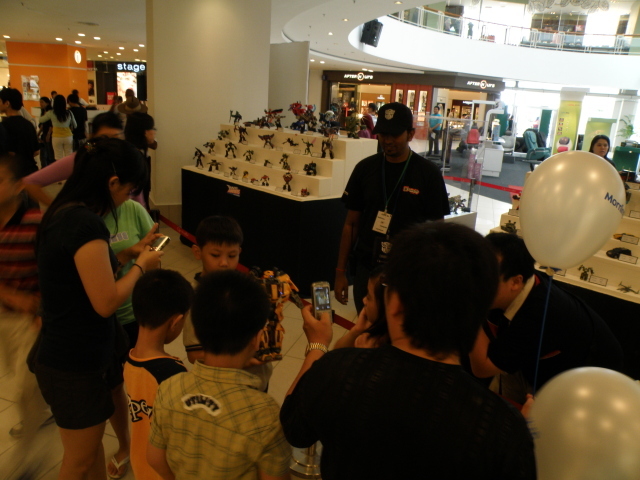 There are also keen visitors and photographers. Streching out the get close shots. DSLR, aimed and ready to snap. The final event of the day is Auctions. The highlight of the day were undisclosed until the final moment. 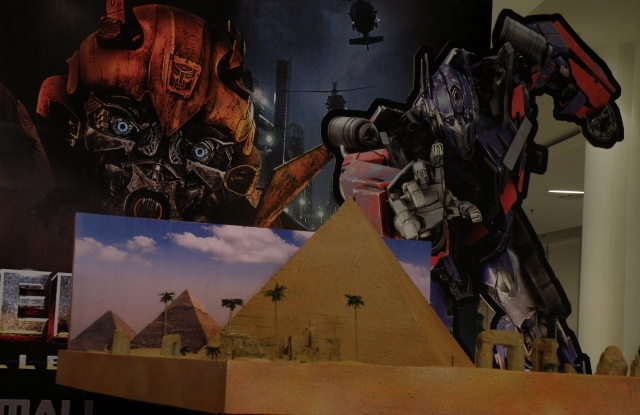 The cut outs and the pyramid diorama each for RM100 which is surprisingly cheap affordable. 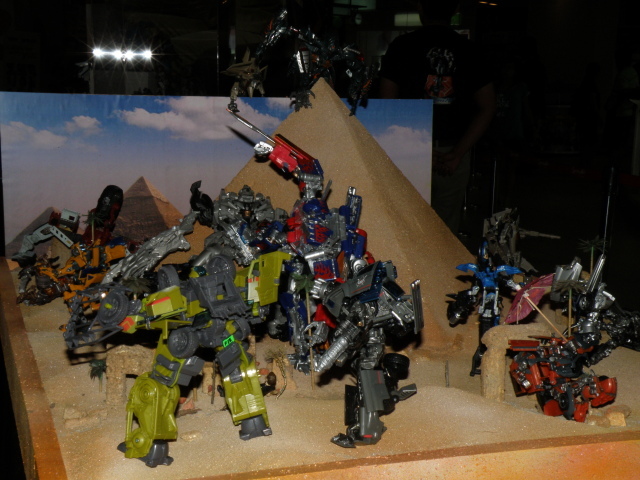 Highlight item the pyramid diorama. 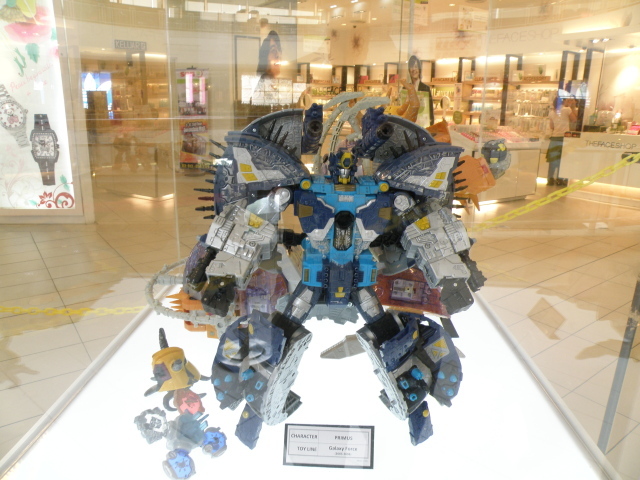 Auction highlight Transformers promotional character Cutout. Of cos other than the MC, we have our crews taking care of things and review the inventory from the side. Crews standing by at the inventory segment. If there is begining there will be also an end. 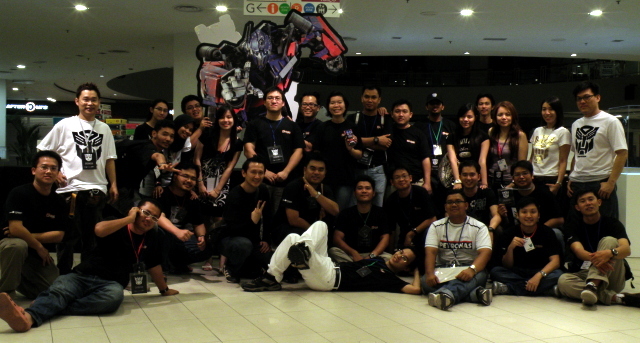 Took a photo with the TransMYians with the Queensbay Event organizing crew. Then time to pack. 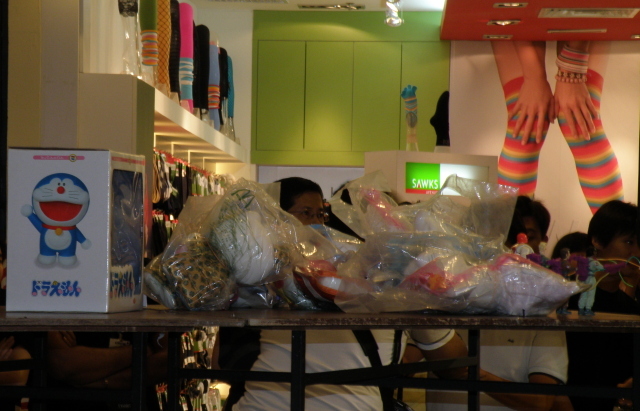 Haul up our stuffs and went home. 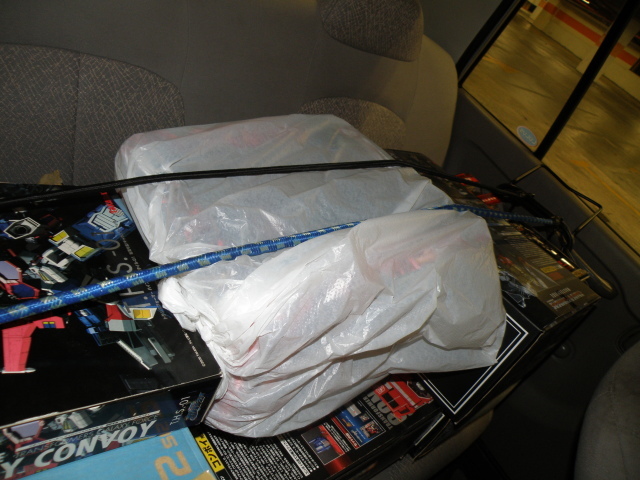 Stuffs packed and drove home. Really more than just hot. 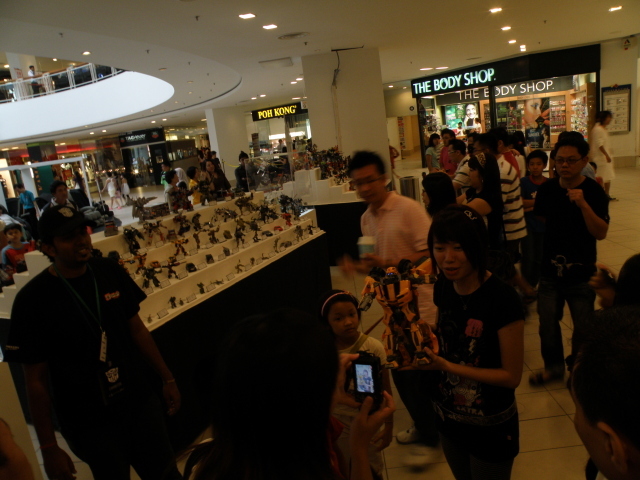 This entry was posted in Announcements, My Hobbies, Social Event, Transformers and tagged autobot, bumblebee, bumblebee pimping, Mikeala look alike, Mikeala look alike contest, Mikeala look alike contestant, ROTF, Transformers, Transformers Auctions, Transformers Convention, transformers convention at queensbay mall penang by KarMeng. Bookmark the permalink. luckily the winner look good..
i think photoshoot 14-17 looks more like transexual ppl.. wif her boobie comin out.. maciam fake.. looks like akua oso..
photoshot 22-23 looks so gerli.. post n model problem.. hahaha..
photoshot 24-25 oso looks like akua.. zombie version. haha.. gerli..
Whoa, contestant pose in photopose 5 and 15 will make all decepticon hard. good write up dude..make sure u link transmy to your site. cheers. Yo. 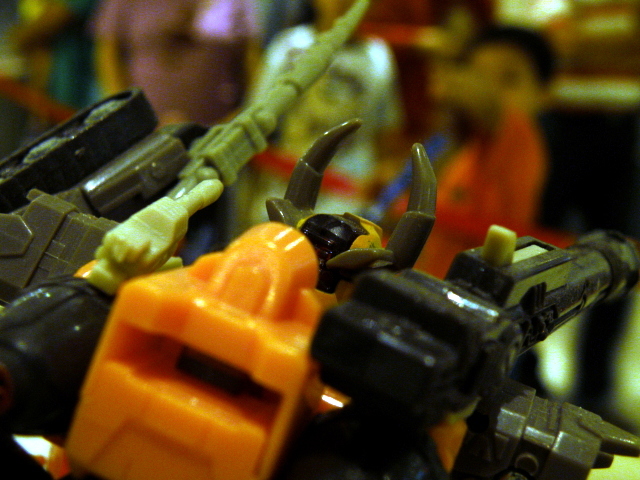 More autobot pictures lar. Where is the introduction for optimus prime? keke. Boss, working on it hehe; this write up is more about Ah Mois and Aweks cun 😀 Would try to speed up write up on the upcoming post. Thanks for your suggestion. Alright Chow, great photo shots from the convention & nice preview. I missed the auction session 🙁 From yr pics the auction time must be thrilled & full of fun. 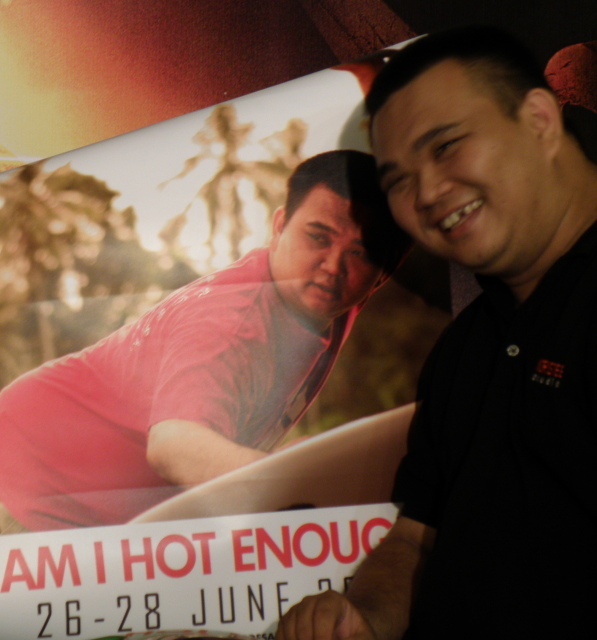 Fumi, the cut out is really a good deal, RM100 but it is too big. If I have my own house I will sapu and ebay it internationally. It is dreamworks official TF cutout.